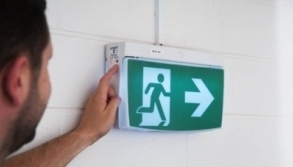 At Jim’s Fire Safety, we specialise in fire protection services for the home or workplace. We provide individuals and businesses with specialist fire risk assessment procedures. During our consultations, we test your fire protection equipment and ensure you meet the current Australian safety standards. We determine whether your appliances are safe for use on the day of testing and assess the functionality of your fire protection equipment. If your devices do not meet our strict standards, we will make recommendations for repair, or offer replacement and/or maintenance. Our team of technicians have over 150 years of combined experience in safety testing and fire prevention. Our optimised approach to testing and assessing risk means that your building, as well as records of your safety proofing, are kept safe and sound. 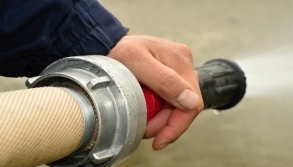 Making an investment in fire protection is easy with our fire equipment testing technicians. We will help you identify your safety testing obligations, and ensure each test is executed with precision and care. Put the wellbeing of your home or office in the hands of our capable fire protection testing team. We know how important safety is to you and it’s our priority too. We are happy to work with individuals and businesses who have their own dedicated safety procedures – just tell us what you need from us, and we will work with you to make your building as safe as possible. If you are completely new to the safety testing realm, you can rest assured that with Jim’s fire testing services, you will have over 150 years of combined experience in testing on your side. Our approachable customer service team can field any of your booking enquires, and provide you with more information about your next scheduled maintenance. We have technicians based in many service areas throughout the nation. For your local fire testing expert, contact us via the national phone line and we will assign the closest technician to your service request. Our customer enquiry team are available from Monday to Saturday – don’t hesitate to get in touch! 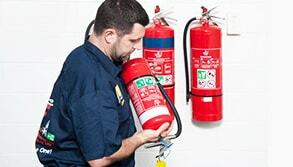 Our fire protection services include the inspection and testing fire extinguishers, fire blankets and hose reels. 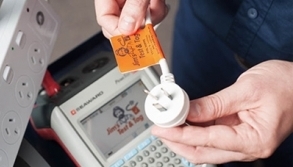 We also offer testing and tagging, safety switch testing, and emergency & exit light testing. With our comprehensive offering, you can secure your entire building and ensure your staff have a plan in an emergency. Our data management system allows each of our clients to remain up-to-date with any compliance requirements with options for notification of scheduled maintenance. Each of our tests will be accompanied by a detailed report covering every piece of equipment we examine. Our team of talented technicians are fully compliant with theAS1851 fire safety standards and are happy to answer any questions about your legal fire protection obligations. Protection is paramount – we take pride in knowing our work saves lives every day. We are franchise members of the Fire Protection Association Australia and a recognised business under the Fire Protection Association of Australia (FPA Australia) Fire Protection Accreditation Scheme (FPAS). We are committed to the ongoing support and training of all our fire protection testing technicians. This means that local communities across the country will have access to the expert service and support they need when approaching safety in their building. If you are considering a career in safety inspection and testing, contact us today. You can join a team of hard-working individuals who are supported by our dedicated divisional managers and regional franchisors. Access a diverse range of clientele with our structured franchisee program. We work with industrial and commercial businesses as well as with real estate agents and domestic clients. Expand your business prospects now. With our mobile fire testing services, businesses across Australia have access to premium fire equipment services that involve the inspection and testing of all devices. We can minimise any loss in productivity by working around any client specific requirements. We are more than happy to take part in any of your safety policies or training procedures before beginning work on your premises. Our personable safety testers are full of fire specific knowledge. You can rest assured that your building is prepared for an emergency us. Our capable fire equipment testing team can answer any questions you might have about our range of services, as well as enquiries you might have about the frequency of fire safety testing. For more detailed information about our services, feel free to browse through our fire safety service pages. 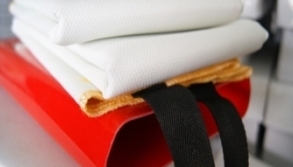 Fire blankets are essential safety devices which can be used to extinguish incipient fires. The sheet of fire retardant material is placed over a starting fire and smothers it, depriving it of oxygen and avoiding disaster. This means that they are particularly effective when it comes to tackling fires which involve fats, oils and fabrics. There really is no understating just how important fire blankets are. Fire blankets started to first emerge alongside fire extinguishers and in the years since they have helped to avoid countless fires growing and spreading into larger and more destructive fires. Given that these fire blankets are so important, it’s critical that they are appropriately maintained and ready should they need to be used. This is why you should turn to Jim’s for your fire blanket testing needs. Our team members take their work incredibly seriously and know that they play an important role in protecting you and your property from the dangers of fire. This is why they diligently conduct every inspection in line with Australian standards. Every six months our safety technicians ensure that your blanket ticks all of the boxes in terms of accessibility. This check ensures that the blanket can easily be seen, is found in the appropriate place and is readily accessible. 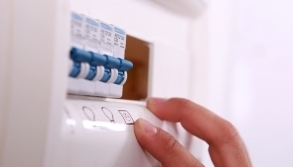 What’s more, our technicians ensure the installation fits with safety standards. The signage will also be checked to make sure that it is visible and correct, while the blanket container is also thoroughly inspected. Our technician makes sure that it is securely supported, is clean and free from any damage and has clear instructions with it. We also check to ensure that the record label is attached. Finally, the fire blanket itself is checked to make sure it isn’t damaged or contaminated in any way and that it is correctly folded. Together, each of these tests helps to ensure that your blanket will work as efficiently and effectively as possible in the unfortunate event that it needs to be used. Performing these checks is incredibly important, and you can rest assured that our technicians have the appropriate skills. Our technicians work to hone their skills and complete each of their jobs with the highest possible level of skill and professionalism. Together, our team has over 150 years of experience, and we have all used that time to learn and hone our craft to ensure that we continue to deliver the best results regardless of which equipment we are testing. We understand that convenience is important for you which is why we have made ease of use a priority of ours. 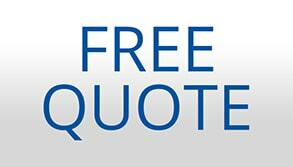 You can use our simple online tool to book your free quote and then proceed from there to book your checks. We are also very happy to answer any questions or queries you may have via your preferred contact method. 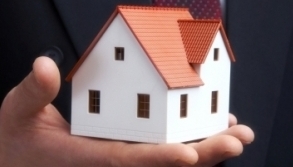 We specialise in protection for homes & workplaces around Australia. 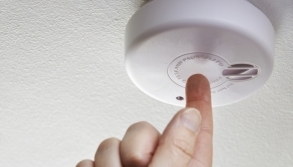 We offer a variety of services such as smoke alarm testing and fire extinguisher testing to ensure you are safe if a fire does occur. Browse our website further or contact us to learn more.